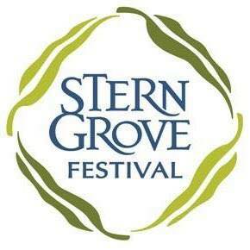 Free Concert at Stern Grove Festival featuring Ronnie Spector & The Ronettes | The Humidors! With her powerful trademark vocals and gutsy attitude, Ronnie Spector is the embodiment of the heart, soul, and passion of female rock n’ roll in the 1960s. Inducted into the Rock and Roll Hall of Fame in 2007, Ronnie Spector and the Ronettes are best known for the international Number One smash, “Be My Baby.” In 2017, “Be My Baby” was named by Billboard Magazine as the "#1 Greatest Girl Group Song of All Time," and Spector was presented with the "Legend Award" by The Woman's International Music Network. In 2017, Ronnie also released “LOVE POWER,” her first single recorded with The Ronettes in decades. Hailing from the Bay Area, the eight-piece funk unit The Humidors features Andre Cruz’s heartfelt vocals atop greasy soul and vintage R&B rhythms. Having shared the stage with acts such as Dumpstaphunk, The New Mastersounds, The Meters' Leo Nocentelli, Shuggie Otis, and the late, great Bernie Worrell, The Humidors are in their element on stage. Bursts and washes of B3, punchy horns, chugging percussion, thumping bass, and burning guitar leads interweave in an infectious polyrhythmic stew.